Last week we held a “National Wine Tasting” get together with some of our friends. At the end of the night after everyone left, Chris and Julie (who planned to stay over night) decided to have a night-cap and wanted one more glass of wine over some conversation. 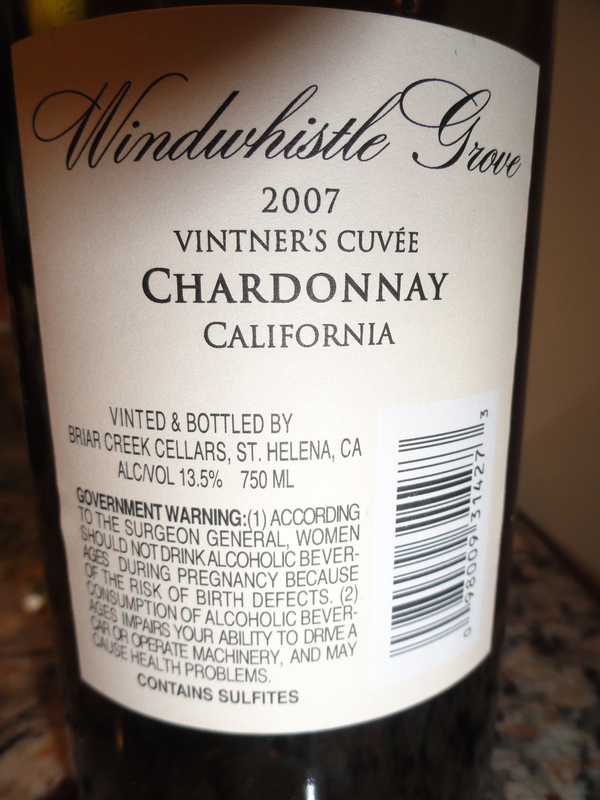 I pulled a bottle of Chardonnay from my wine cooler, but we’re not sure how it got there because neither Chris or I recall purchasing it. 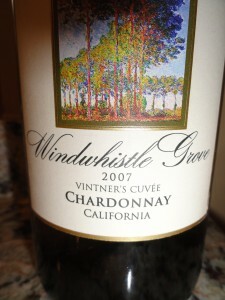 It was a 2007 WindWhistle Grove Vintner Cuvee Chardonnay. It appears Briar Creek is the vintner and bottler of this wine. I pulled the cork and started examining the wine. I could see a nice soft yellow – gold color. In my opinion this wine was not barreled in oak, it must have been stainless. I am not saying one is better than the other, it was an observation. Nose: I could smell Apple and Pears. Taste: It was very crisp. I had a hint of apple and a soft buttery after taste. 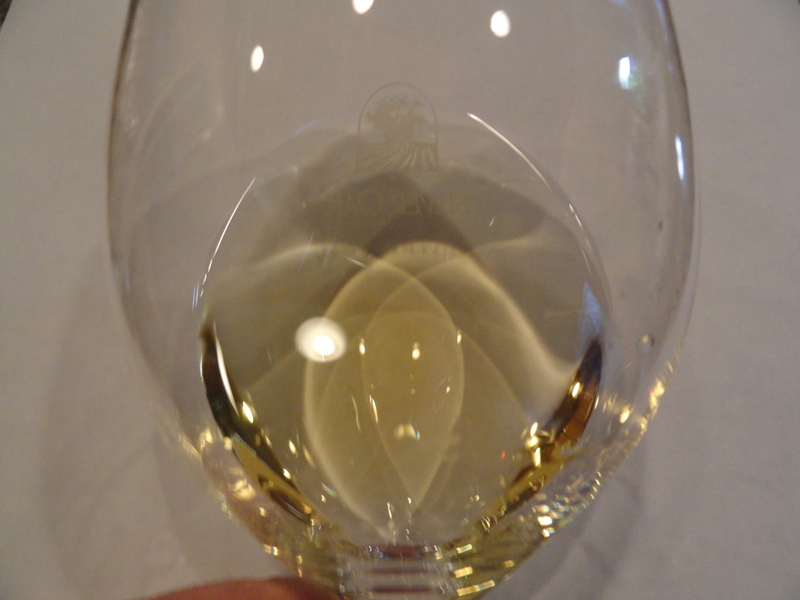 My preference if drinking white wine is a buttery finish like a Rombauer. For a Chardonnay, I would say it was “OK”, but not my favorite. I have tasted better un-oaked Chardonnays from other wineries. I also tried looking for more information on WindWhistle and Briar Creek vineyards. I was not impressed by the website.